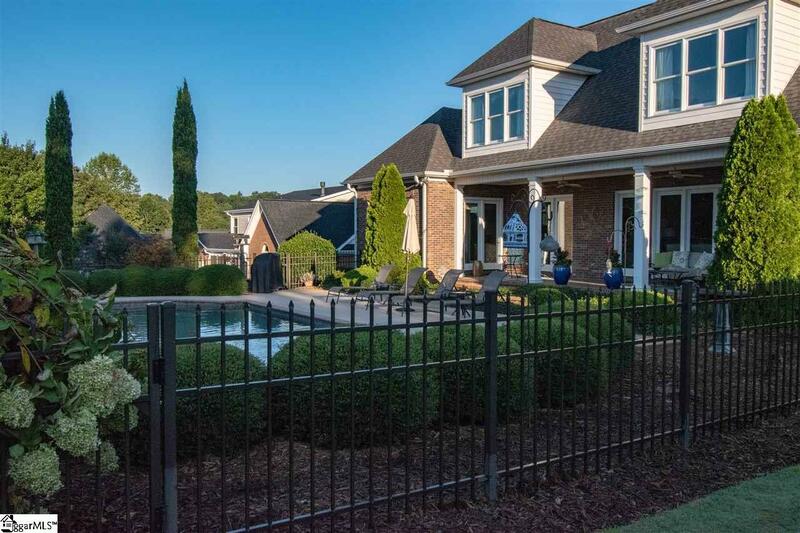 If you're looking for a home that feels more like an upscale resort, you just found it. 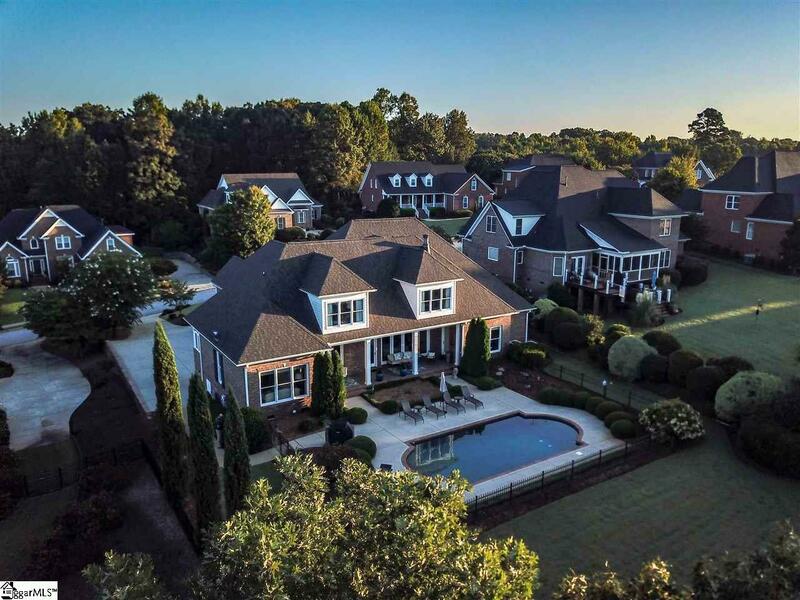 515 Cypress Links Way combines luxurious interior details with stunning outdoor living including a gorgeous in-ground 16x34 Gunite saltwater pool overlooking the 18th green of Creekside Golf Course, part of Pebble Creek Country Club! In fact, you can treasure your morning coffee under a perfectly private recessed covered porch or take in the views of Paris Mountain as you drive down your street everyday! Speaking of views, every single custom made window and door of this home fully capitalizes on the golf course views! As a custom designed home, there's truly no detail overlooked. Adding to its value is its convenience to downtown Greenville, Travelers Rest and Cherrydale shopping. Within minutes you can be at most any location. The kitchen is the heart of this home with a large island/bar with granite countertops, a large pantry, under-counter lighting, a Thermador gas cooktop & oven, a built-in china cabinet and desk as well as a large keeping room or eat-in kitchen area, depending on your lifestyle and preference! And of course you can also enjoy the formal dining room with views of both the kitchen and the Great Room with its custom built-ins and center gas log fireplace. The owner's retreat is on the main level and showcases French doors, hardwoods floors, private access to the porch, and a spa-like bathroom complete with his and her vanity and make-up table, a door-less shower, toilet & bidet not to mention graciously appointed his & here walk-in closets. There's also a guest suite on the main level with access to a full bathroom. This space could also make for an ideal main level office/study as the owners included a large closet for office supplies and equipment not to mention a functional built-in bookcase. There's a large laundry room on the main level with a sink and boundless storage. Upstairs you'll find two bedrooms and a true Jack and Jill bathroom. One of the bedrooms could serve as a bonus or recreational space as it affords a wet bar with sink, microwave and storage. And if storage is your ultimate goal, then this home will 100% satisfy with countless built-ins, large walk-in closets, a three-car garage AND not one but two sprawling walk-in attic spaces that were built for easy build-out! 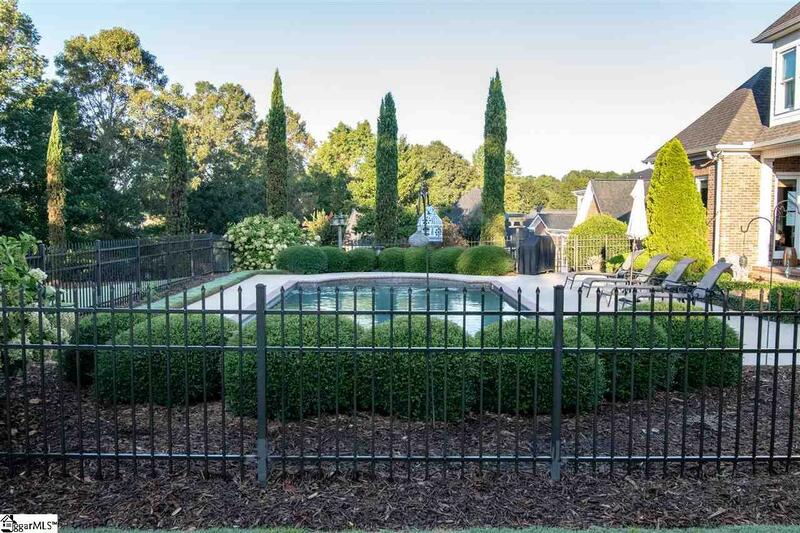 Other features: irrigation system, fencing around the pool, decorator paint colors, yard door from the 3-car garage, extra parking pad, security system (not currently active) and more! Make 515 Cypress Links Way your new address! 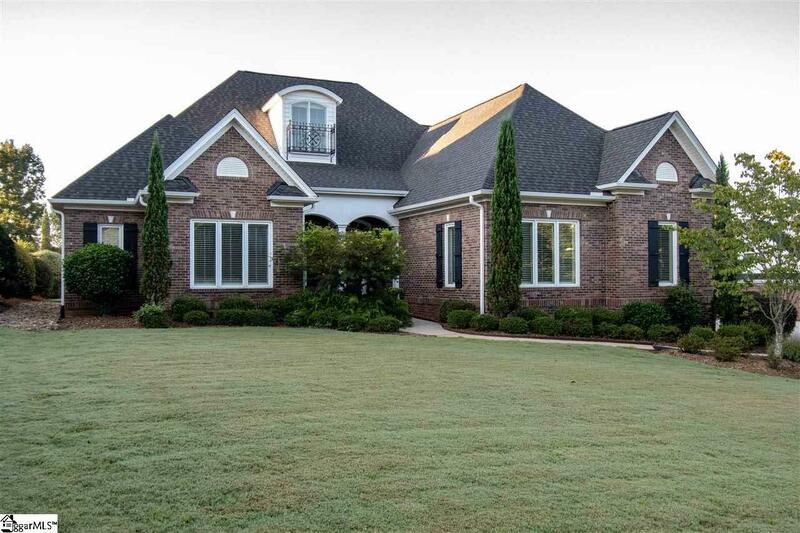 Listing provided courtesy of Melissa Morrell of Bhhs C Dan Joyner - N. Pleas.